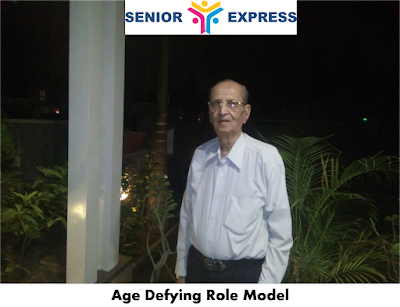 Sharing another inspiring story via Senior Express on Active Ageing in India. 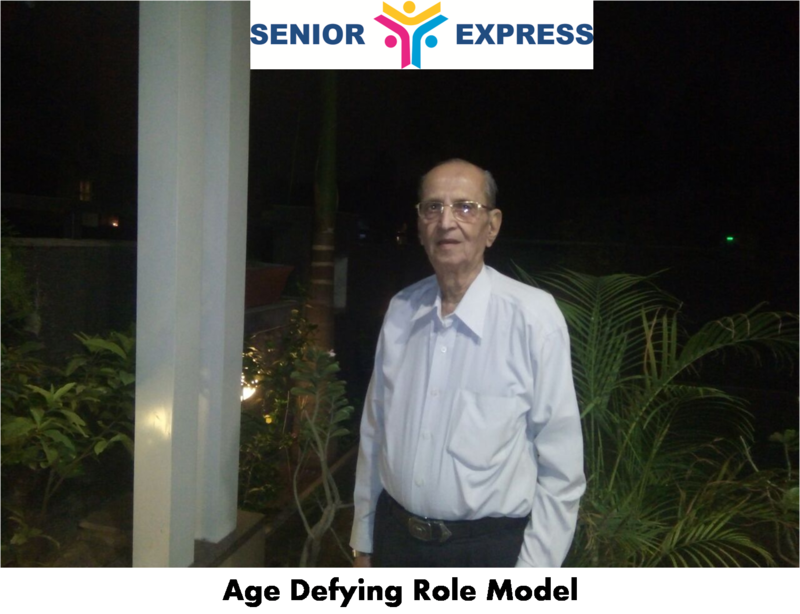 This is the story of Mr. Shivnandan Ramrao Rao, an 86 year young and enthusiastic professional from Thane, Maharashtra. My day begins at 6 am sharp. The first thing I do is Pranayam followed by Yoga every day. I have also been doing Jala Neti for 30 years which helps keeps my sinus clear, no headaches and mental stress as it benefits us by removing the excess heat out of our brain. My house is at 3rd floor and I need to climb at least 3 to 4 times a day. We do not have a lift. Every morning I go for a walk of 3 km. I prefer to walk as it is faster in the traffic and it helps me keep active. Besides exercising I feel a good and balanced diet is very essential for anyone to keep fit. I have been suffering from Diabetes since 1976 but due to exercise and controlled diet and leading a disciplined routine, I have been able to keep my sugar level under control. I feel that to lead a Healthy and Active life one must eat everything in moderation, exercise regularly, think positive and must go for regular health checkups. When I retired at the age of 61 from Colour Chem, I had thought of continuing to work for few more years. But didn’t realised that I would be working even today at the age of 86. I will continue to do so as long as my health permits and I can travel alone. My consultancy work also requires travel outside Mumbai 4 to 5 days in a month. My wife passed away in March 2012 and since then I live alone at Thane. Both my daughters wanted me to come and live with them but since my health permits and all my friends, my bank related work etc is all based in Thane I decided to continue living here. Living alone means maintaining the house which is a full time job. I am enjoying this new role though I do miss my wife and other family members. I am a very social person and have lots of friends and most of my friends have been there with me in all stages of my life. I still meet my school, college and Colour Chem friends and often go out for picnics with them. Earlier I was not very fond of the new technology maybe because I thought I would not be able to cope with it but since the time I have been using the smart phone, I have been able to keep in touch with family and friends through WhatsApp. I surf the internet for interesting news articles, and work related material. All this keeps me socially and mentally active.